Pressure switches are ideal process devices in various industrial sectors. The instruments are PED and ATEX certified. GOST R certificate is available. The MINI switches series are ideal for application where space is at a minimum, such as offshore oil rigs and process and energy applications. A welded diaphragm is combined with a snap-action Belleville spring. The COMPACT series switches are ideal for installation in electrical cabinets as well as on rotating machines, due to its compact and square shape. A diaphragm, combined with an antagonist spring assembly, is used to counteract vibration and offer high reliability. 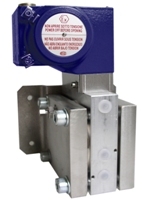 These switches covers all industrial applications thanks to its wide pressure ranges. A diaphragms is used to provide a perfect measurement value hence guaranteeing HIGH performances. A Bourdon tube is used to convert the pressure value onto electrical action. 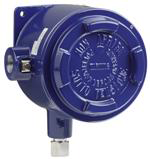 Differential pressure switches are ideal process devices in various Industrial sectors. Unique and special design of the measuring cell for high static pressure & one-side pressure. The HIGH QUALITY guaranteed HIGH levels of availability and they are ideal for safety instrumented systems (IEC 61508) as well as for process control. The Instruments are PED and ATEX certified. GOST R certificate is also available. NACE, Off-shore,Tropical,Ammonia,execution and special wetted materials are available. The DIFFERENTIAL series switches cover all the industrial application for differential pressure thanks to its wide pressure ranges. 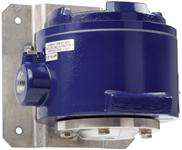 Absolute pressure switches are ideal process devices in various industrial sectors. The instruments are ATEX certified. The ABSOLUTE series switches cover all the industrial application thanks to its wide pressure ranges. Unique and special design of the measuring cell guarantees high performances. The above information should only be used as a guide. For further information please download our Data Sheet.